Our assortment ranges from classic and trendy writing instruments to markers and amateur art supplies. With fresh ideas we realize our visions and set trends for the future. Handwritten is back in! Handlettering or brushlettering is one of the trend themes on social media platforms and the desire for creative letters and text design is contagious! We have the right lettering tools for this. Our classic, the EnerGel BL77, is now also available in four new colors, which give each note and each handwritten writing an individual touch. The case color is also the writing color. 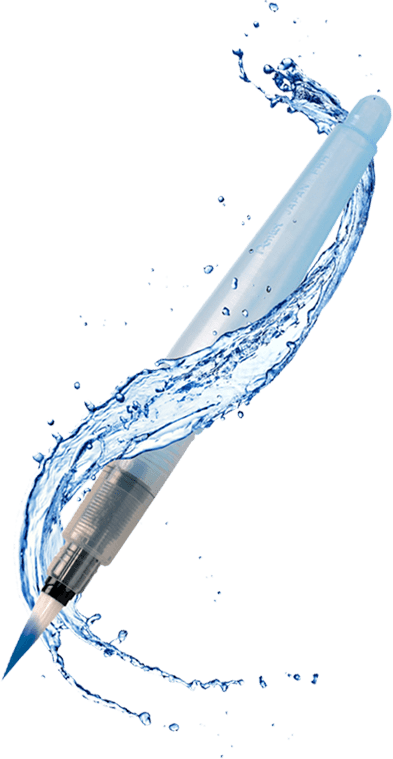 Did you know that the Pentel Aquash Brush Water Tank Brush is the perfect complement to your lettering tools ?! Colors can be blended with it super easy and color transitions can be made in a jiffy.